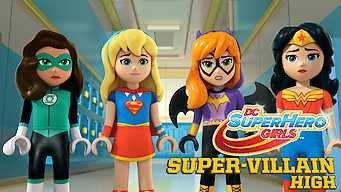 How to watch LEGO DC Super Hero Girls: Super-Villain High (2018) on Netflix South Africa! Sorry, LEGO DC Super Hero Girls: Super-Villain High is not available on South African Netflix. We check Netflix hundreds of times a day, so you can check back regularly to see when it appears for streaming. We'll keep checking Netflix South Africa for LEGO DC Super Hero Girls: Super-Villain High, and this page will be updated with any changes.